As a relatively new but high calibre team of small cap specialists, Flinders Investment Partners wanted to raise their profile with financial advisers and people looking to invest in the small cap market. The resulting creative campaign was designed to increase awareness of their investment offering in a sophisticated yet unexpected way. 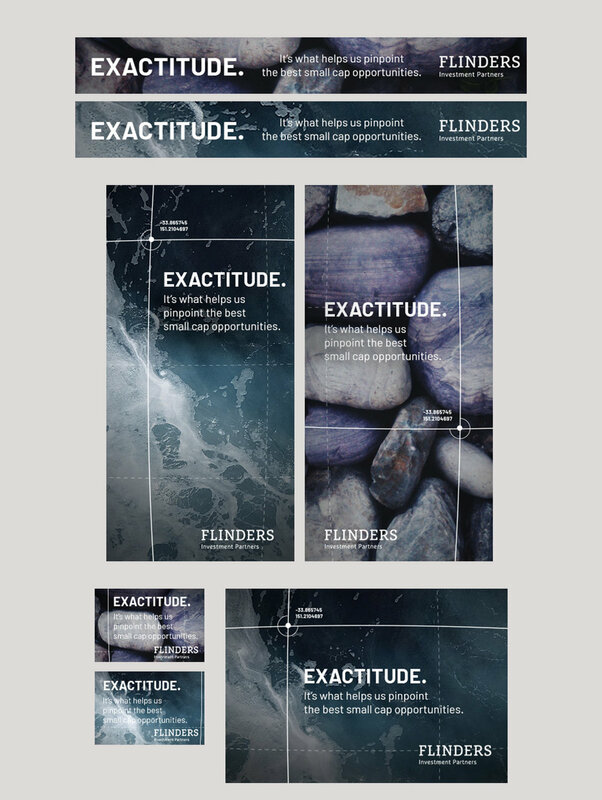 Taking cues from Flinders’ heritage of exploration and leadership, we introduced the idea of “exactitude” along with a simple graphic device over gritty photography. The creative solution became a tangible way to highlight the precision, intelligence and rigorous processes that underpin everything the team does, including targeting the best opportunities, minimising risk and delivering strong returns. 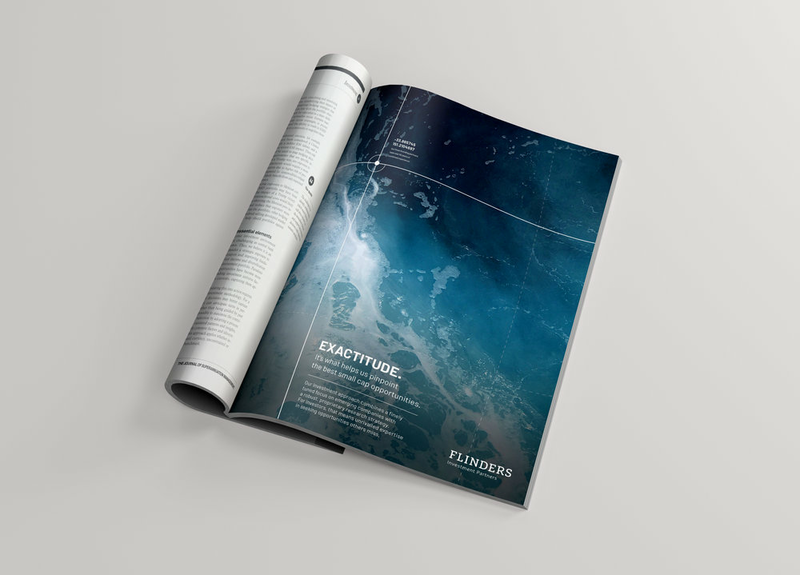 It was carried across a range of eye-catching comms including print ads, banner ads and a new company website.